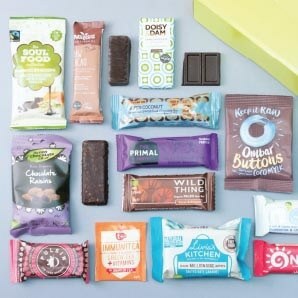 Treat your staff to a box of healthy snacks the perfect way to support healthy and wellbeing while providing a delicious nutritious treat for employees. All SnackBoxes comes in two sizes, 30 and 45 piece – Choose from our selection below. We are proud to supply nutritious snack options to thousands of frontline workers throughout the country, improving working conditions for the most important part of the economy. 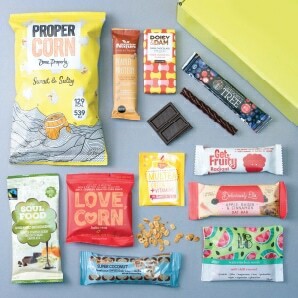 SnackBoxes’ customers are the who’s who of socially responsible organisations in the UK who understand that supporting the health, wellbeing and happiness of their people is not just the right thing to do, but also makes sound economic sense. Specially curated snack boxes customised to suit employee numbers and individual tastes delivered right to your doorstep free of charge. SnackBox provides convenient access to millions of healthy snacks per year. Made with nutritious, whole ingredients, whilst ensuring taste is a top priority, we keep your team fuelled with on-the-go snacks that help increase productivity, improve health and make your team feel cared for. There are no minimum orders or contracts to sign, just quick, simple snack delivery. Encourage your employees to make healthier snacking choices and avoid those harmful refined sugars buy offering a free healthy snack box. Healthy Snack Box delivers healthy office snacks – providing convenient access to millions of healthy snacks per year, delivered right to your doorstep. 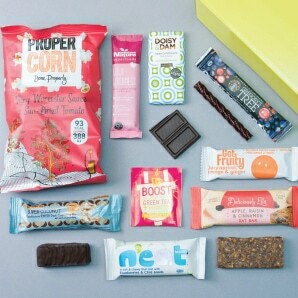 Made with nutritious, whole ingredients, whilst ensuring taste is top priority, SnackBox will keep your team fuelled with on-the-go snacks that help increase productivity and make them feel cared for. The snack boxes can even display your company branding. Fully scalable corporate snack boxes – from a small office with a box of healthy goodies to 20,000 across hundreds of locations.